My Jelly Roll Quilt class finished tonight! 6 weeks of laughter, creativity, and of course amazing quilts. There were 4 more quilts, not pictured, and sadly my photography does not do justice to the stunning colours and amazing quilting detail in these gems. Well done ladies! 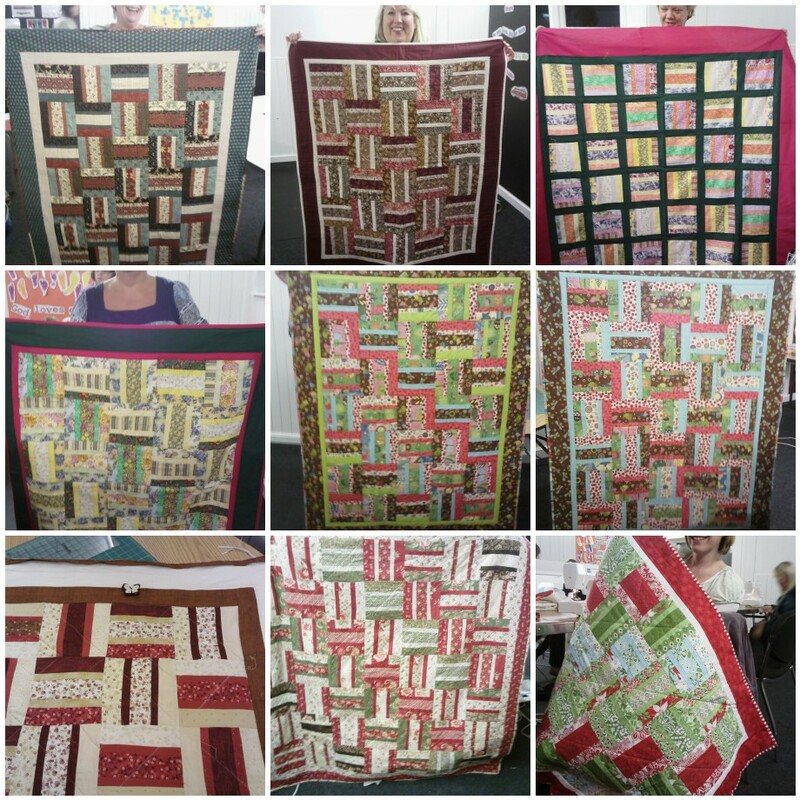 You’ve been a wonderful group and I hope your quilts will be a blessing to those who get the privilege of using them. Next Next post: Scaffolding & Squares!